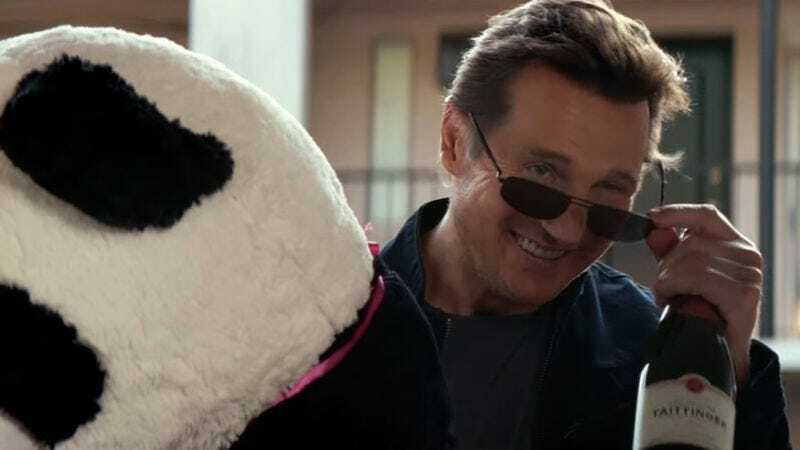 Despite being one of the weakest films to come out of the ongoing Liam Neeson revival, Taken 3 managed to disappear with $40.4 million of moviegoers’ money this weekend. The sequel took the No. 1 spot, while also serving as a reminder that America has never really outgrown its beloved, Bowery tenement pastime of watching Irishmen beat up Slavs while the police stand around, twiddling their thumbs and chewing on bagels. Ava DuVernay’s Selma, which expanded into a 2,2000-screen wide release this week, came in a distant second with $11.2 million. However, considering the movie’s strong word of mouth and positive reviews––and the fact that its audience is presumed to skew older, and therefore less likely to rush out to see the movie on opening weekend––Selma will probably have a long and healthy life at the box office. The rest of this weekend’s Top 10 consisted largely of December releases––including Into The Woods and The Hobbit: The Battle Of The Five Armies––trudging on toward whatever insane amount of money is necessary recoup their advertising budgets. With Clint Eastwood’s American Sniper still in very limited release, Angelina Jolie’s POW flick Unbroken has done strong business; this week brings its stateside total up to $101 million, much of that presumably earned from Eastwood’s usual audience of in-laws who only go to see a movie if it involves a real war. Sniper––which has made $3.1. million despite only playing in four theaters––expands into a full-on wide release this week. Speaking of wide-release expansions: Paul Thomas Anderson’s all-star Thomas Pynchon adaptation Inherent Vice has proven to be something of an under-performer, making only $2.9 million after moving to 655 theaters.